Parsa Mohebi, founder of Parsa Mohebi Hair Restoration, announces a new website section specifically devoted to the most commonly asked questions about female hair loss. 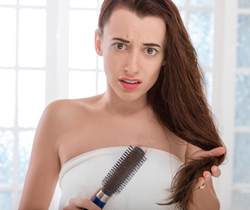 While hair loss is often thought of as a male medical issue, there are many women who suffer from hair loss as well. Parsa Mohebi, a Beverly Hills hair transplant surgeon, has gathered the most frequently asked questions he receives about female hair loss and created a female hair transplant FAQ to provide both female and male patients more information about the condition. According to Dr. Mohebi, the female hair transplant FAQ will be expanded and updated throughout 2017 as new information becomes available to the public.